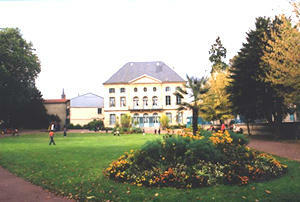 Town Hall Park of Bar-Le-Duc : Park of the town hall realized since 1805, on behalf of the Marshal Oudinot, this park underwent transformations at the time of its opening to the public en 1868. It preserves nevertheless several provisions of origin, of which a circular temple which forms belvedere. July and august : from 7.30 a.m. to 9.30 p.m.
Others months : from 7.30 a.m. to 8 p.m.